Your Opportunity to earn $30,000 a year in commissions is now…Are you ready? We GUARANTEE you’ll GENERATE AN ADDITIONAL $30,000 A YEAR IN COMMISSIONS…Or your next year office expenses are FREE! That’s right, you’ll not pay a single penny of Company Dollar*** giving you 100% of all the commission you earn. This is how confident we are in your success! 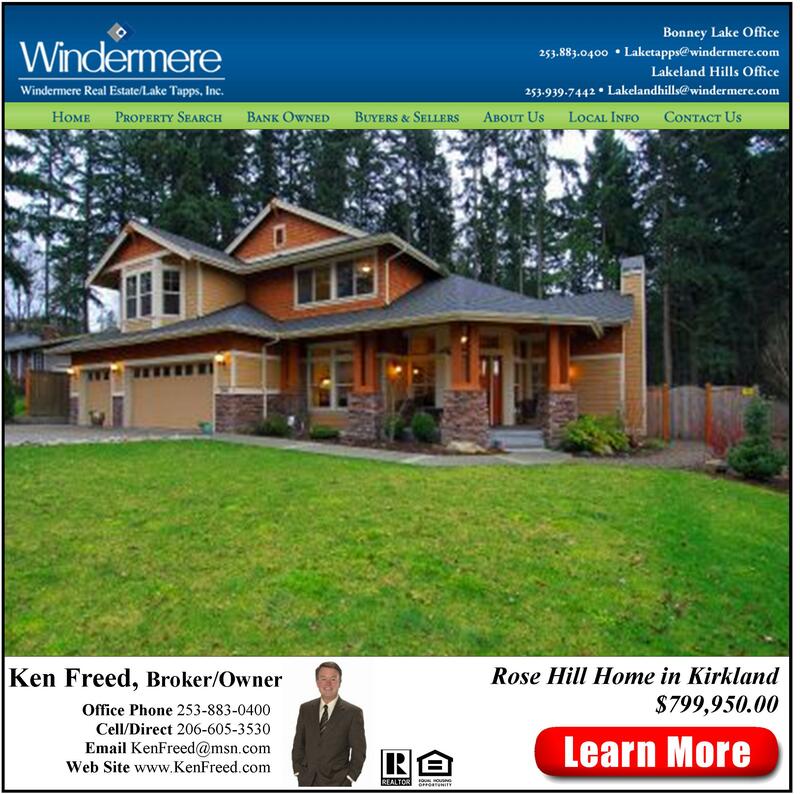 Windermere Real Estate is a name synonymous with a strong work ethic, the power to create wealth and a proven business model of success with our Online and Offline marketing systems. 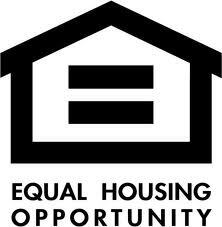 If you share in these same values, we would like to help you! We are looking for a few disciplined, hard working professional real estate brokers who are willing to learn our systems and tools and apply our long established model for success to get you to reach your true potential. 18008 State Route 410 E.
*Our Business Plan will be further discussed at time of hire. **Our weekly training consist of a 1 hour roundtable on Social Media and designated Productivity & Lead Generation classes. 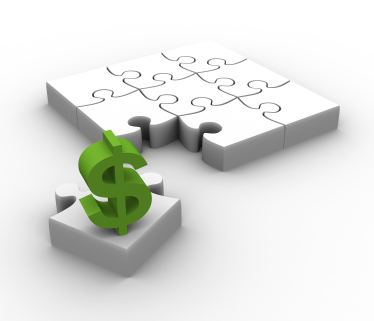 ***Company Dollar is the varied Threshold paid to the Broker. Associate is still responsible for paying $3,600 Annual Franchise Fee as well as all required B&O, L&I, E&O and $147.50 per Transaction Fees. In this evolving landscape of Real Estate Brokerages clamouring for your attention, it’s extremely important to be aware that with all the allure of the 100% commission and NO DESK FEES fantasy office…one must stay grounded to the fact that unless your Real Estate Brokerage offers incredible support, training, coaching, synergy, brand, longevity, leads and a strong name in the area you work…you’re betting your Real Estate career on little more than a dream. With many agents evaluating their station, not to mention their existence in today’s real estate world, Brokerages must offer more! 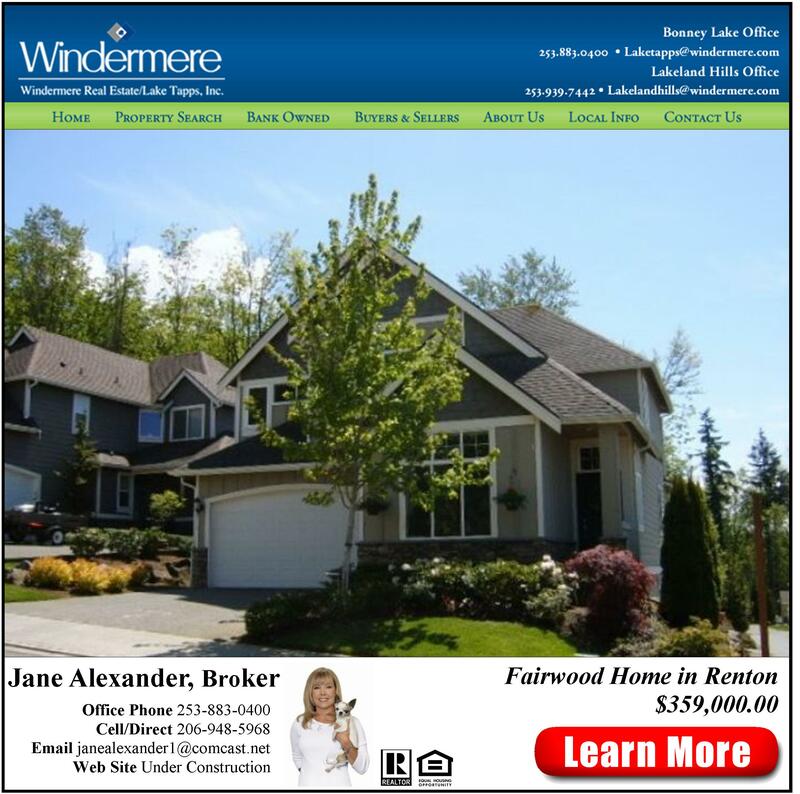 At Windermere Lake Tapps, we’re stepping up to the plate with a menu of services for our Agents offering ALL the things real estate professionals want and need today! 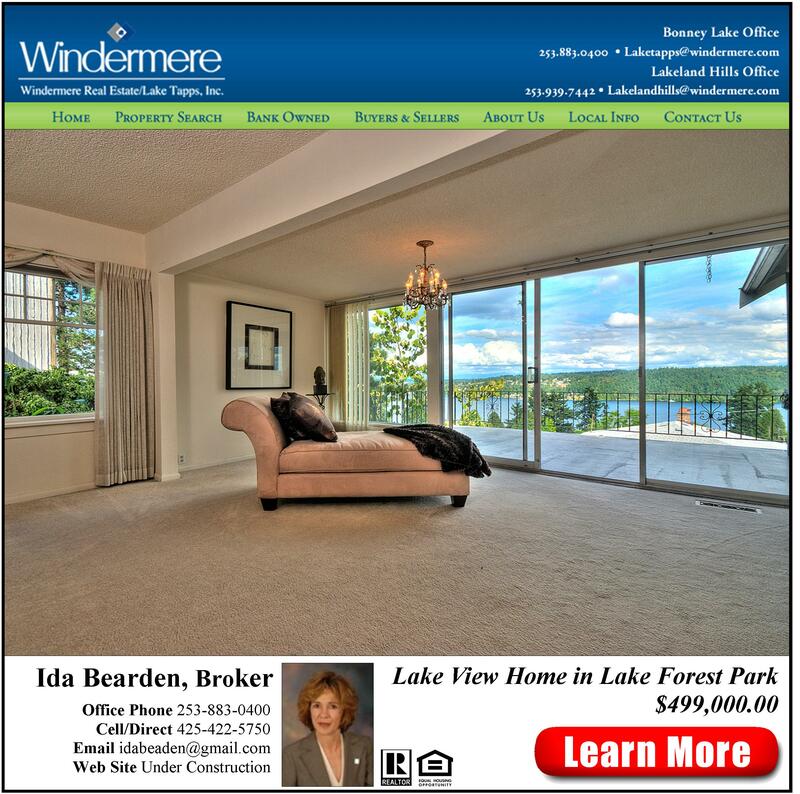 Let’s take a look at the top 10 benefits our agents receive at Windermere Lake Tapps. 1. Support-A busy agent is a happy agent! 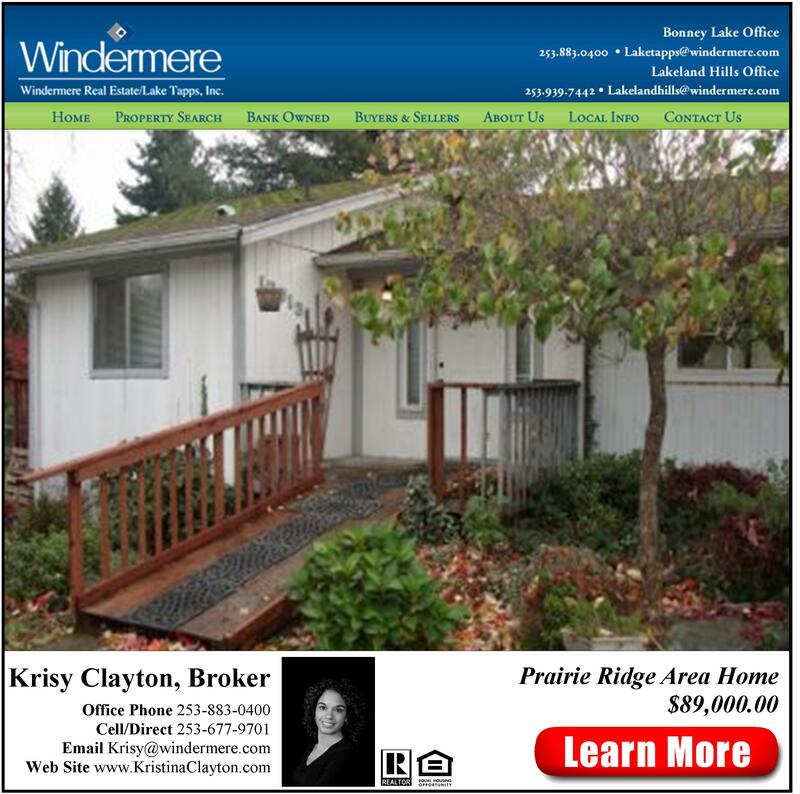 And Windermere Lake Tapps offers real live people to assist with the every day-to-day support of our agents business. From our transaction coordination specialist to our full time staff, we are able to fax, scan or email virtually any document and get things done right! 2. Training-As this moving object we call real estate continues to experience unparalleled change, so does the Brokerage’s need to have ongoing and relevant training. Many of the Windermere Brokerages, including our office, now have full-time trainers on staff to make sure the curriculum remains constant and the information meets the agents needs! 3. 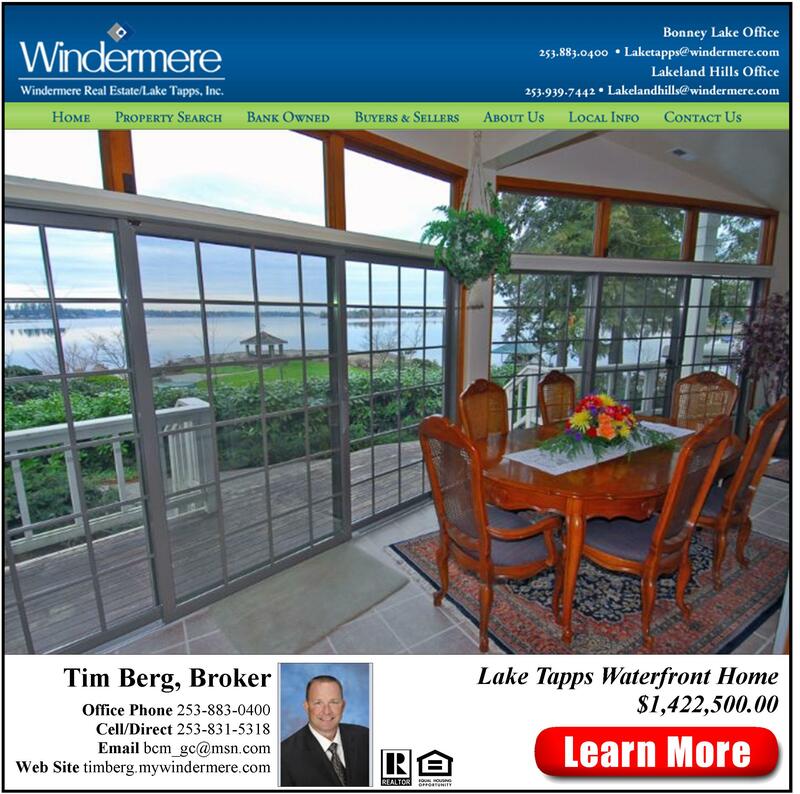 Coaching-Along with training, Windermere Lake Tapps, as with many of our fellow Brokerages are employing full-time coaches to help the agents navigate todays murky waters…AT NO COST TO THE AGENTS! 4. 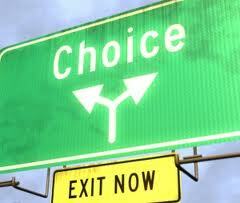 Synergy-The need to create a positive work environment is essential. Our office breeds a conducive work atmosphere where agents can be productive and feel comfortable exchanging ideas. Virtual offices CAN NEVER offer this in any form! 5. 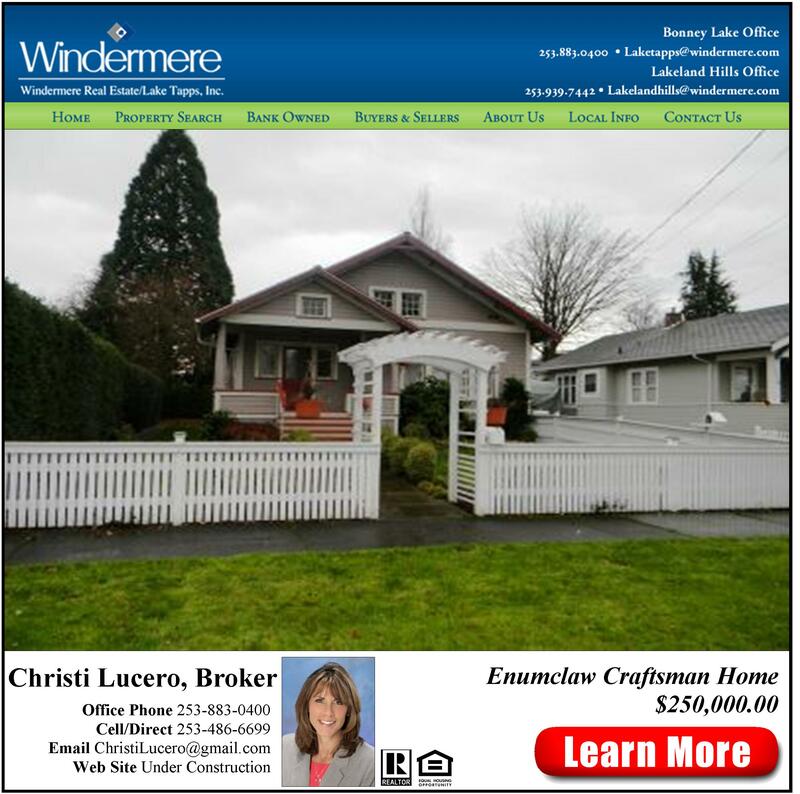 Brand-There’s little argument Windermere carries the largest and most well-known brand in the entire Puget Sound Region. Many agents we speak to often remark about the level of comfort their clients and customers feel because they know the strength of the Windermere Name. 6. Longevity-Simply put, agents want to know the doors will be open when they come to the office! We hear all too often of office going under or changing ownership. When you think of those Brokerages that have weathered this correction, Windermere Real Estate is arguably on the top of the list. 7. Strong Name in the Community-With the Windermere Foundation contributing Millions of Dollars annually to local charities and causes, Windermere is a name people know and trust…and that pride shows through in all our agents and Brokers! 8. Leads-With one of the most visited Real Estate websites in the industry, we are constantly providing qualified buyers and sellers the kind of information they need online and then getting them offline and in contact with one of our professional real estate agents. 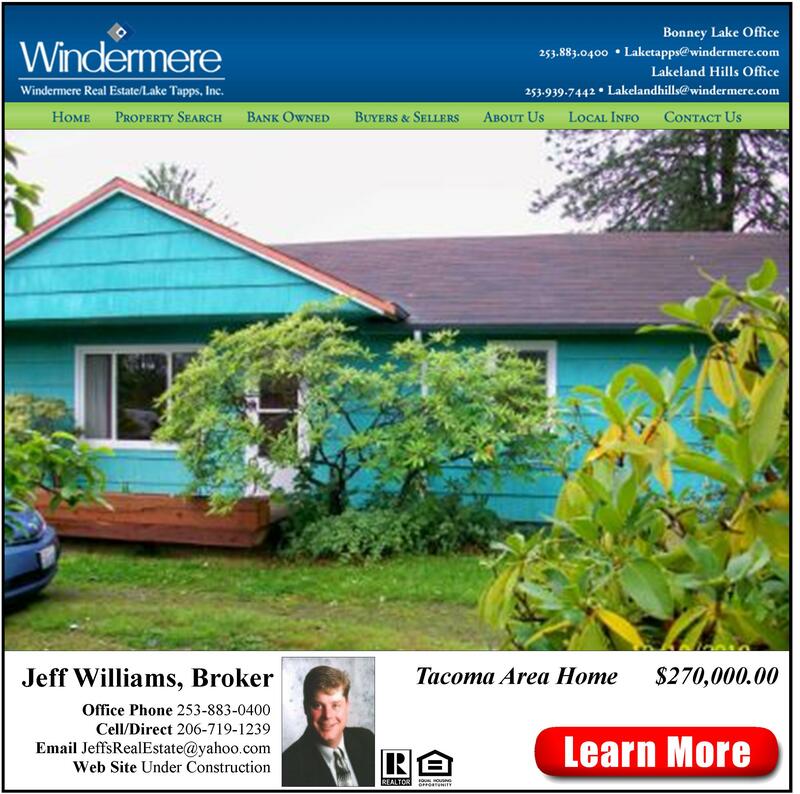 We also enjoy an active stream of Buyers and Sellers that either walk-in to our Lake Tapps office or call off our highly visible reader board. In fact, in 2010, our agents received over 125 leads and our office closed just under 65 sales attributed to our floor time lead system. 9. Attractive Offices-You know real estate professionals like to have a nice office. Not only to have a great place to meet with clients, but it’s just nice to walk in and see a professional looking operation! 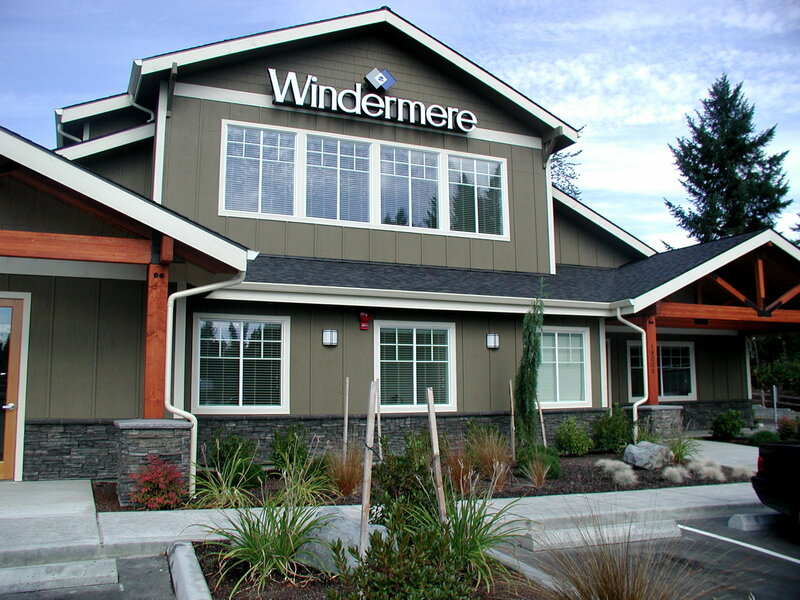 You walk into any Windermere office including our beautiful office here at Lake Tapps and you know you’re part of a special place. 10. Commission Split-Of course, none of this means anything if you can’t offer your agents a competitive commission split with the opportunity to make 100% of their hard-earned commission. 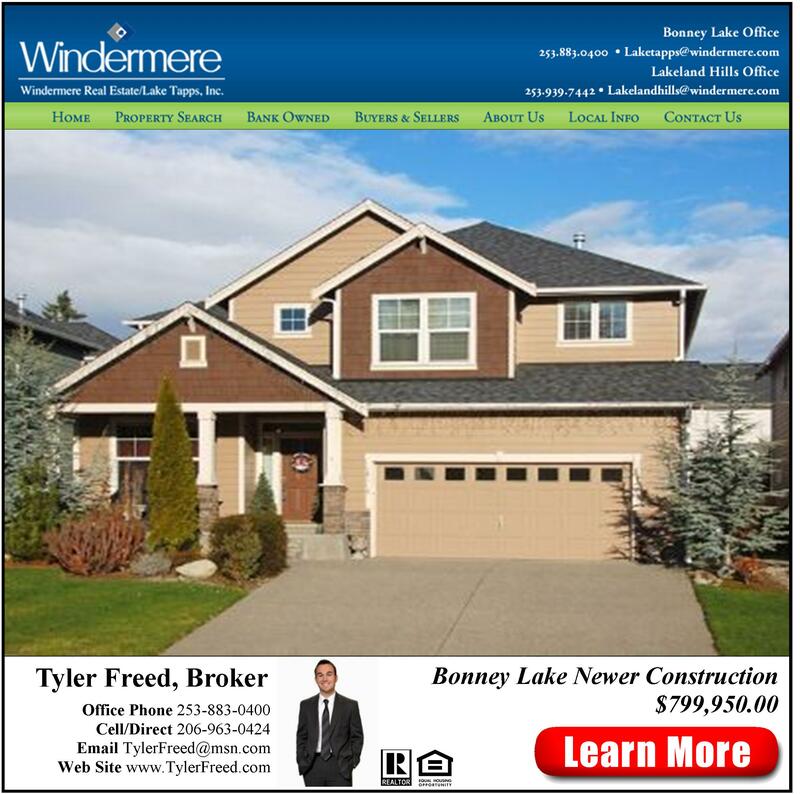 At Windermere Lake Tapps, we have 6 exciting commission options to choose from including a NO MONTHLY FEE PROGRAM with potential to make ALL YOUR COMMISSION no matter what your level of business. 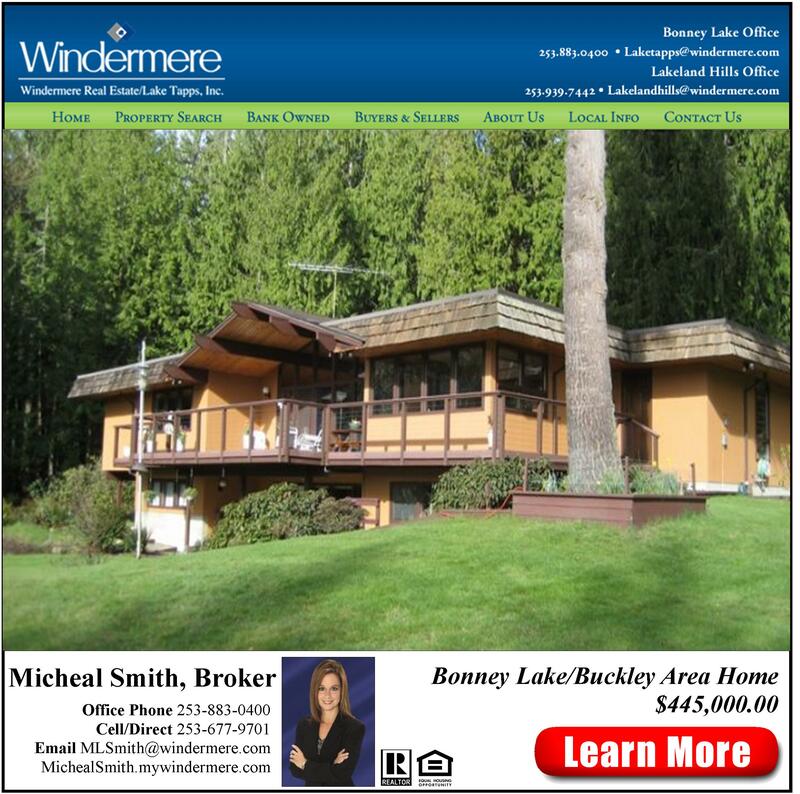 So, when looking for a Brokerage that not only supports you as an agent but does all they can do to cultivate and create an atmosphere where you can acheive so much more…monetarily and emotionally…please be sure you give Windermere a call. 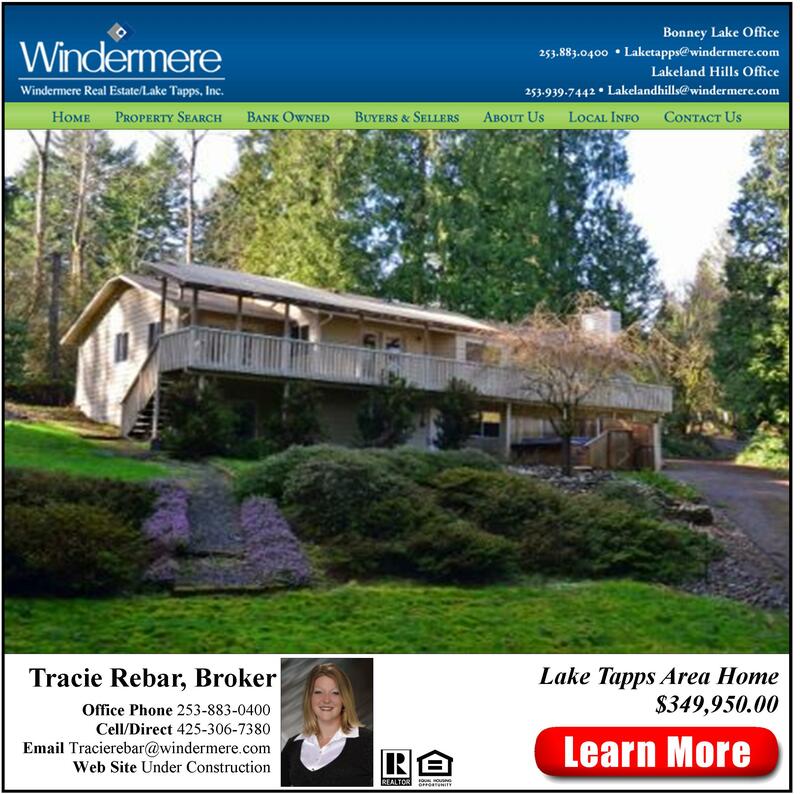 Things are heating up at the Windermere Real Estate office at Lake Tapps! This past week, we instituted a Floor Time schedule and had several interested Team Members sign up…and the results were AWESOME! Since Monday, the Agents who signed up reaped the benefits of their decision with 7…yes, 7 Leads that either called about buying, selling or investing in the Lake Tapps/Bonney Lake area or simply walked in to our beautiful office to speak with one of our Real Estate Professionals. If this sounds like the kind of real estate office you’d like to be a part of, please feel free to contact us at 253.883.0400 or email us to speak with our Director of Career Development about being part of an office that offers such a wonderful way to meet eager buyers and sellers.